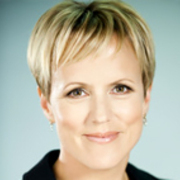 Hilary Barry made her mark at Wellington's Queen Margaret College, becoming head prefect in her final year. Barry tried architecture at Victoria University, before realising she was more suited to journalism school. As she told students at her old high school, her only goal "was to work in radio". After completing the course she got a job in the Wairarapa, at a small private radio station owned and run by Paul Henry. "He taught me how to read the news." Headhunted by Radio New Zealand, she moved to nearby Masterton, reporting on "serial killers, sexual deviants and the local shearing competition". After a few years, noting few job openings at RNZ, she realised that "the obvious move for a broadcast journalist was into television." In 1993 Barry unsuccessfully auditioned for Fair Go, then sent her audition tapes to TVNZ and TV3. She managed to talk her way into a job in TV3's Christchurch newsroom after telling them she loved TV3's news. The reality was reception in the Wairarapa meant she hadn't been able to see it. The Christchurch leg lasted only six months. Since then Barry has been based in Auckland, for much of that time balancing her television work with radio. The way Barry described it to Next magazine, her move from television reporting to newsreading was partly about desperation. "The anchor was away, the stand-in called in sick and there was no one else around. I think I was the last resort. I borrowed a jacket and it was all go." Barry was inspired by the TV3 news chief who first took her on, Mark Jennings. "He led by example. If a producer was sick, Mark would produce". Barry says that Jennings was very good at spotting people's strengths: "he would often see things in you that you didn’t see in yourself". By 1998 Barry was presenting on late night news show Nightline, and doing fill-in shifts on the primetime 6pm news. In 2005 she became permanent anchor alongside Mike McRoberts. She would go on to travel to London for the 2011 royal wedding, and San Francisco for the 2013 America's Cup. In 2011 (the same year she won an AFTA Award for best news/current affairs presenter) Barry reported on the famine in Africa, for 3 News and 60 Minutes. A visit to one of the world's largest refugee camps on the border between Kenya and Somalia meant dealing with "terrible, terrible stories of people looking for hope". Barry argues that there are still double standards in terms of how the media treat woman newsreaders; she notes for example that McRoberts never gets asked how he manages to run a household while working. Barry spent a decade reading morning news at More FM before joining talkback station RadioLive in early 2009, doing interviews and newsreading. In April 2015 she was in at the launch of Paul Henry, which went live to air on TV3, radio and the internet on weekday mornings. In a Sunday Star-Times interview shortly before the new show debuted, Barry's old radio boss described her as a "fxxxxxg stunning broadcaster". Barry also continued to anchor the primetime news, now rebranded as Newshub. In April 2016 Barry announced she was leaving TV3, and looking forward to "recharging my batteries". Longtime colleague Mike McRoberts sent her off in emotional fashion on 3 News' bulletin on 27 May, with this best of clip. In a Spinoff interview the following year, Barry spoke of having felt "worn down" by losing many close TV3 colleagues in a row. "...you’d live through saying goodbye to the 3D team, to John [Campbell], and then Mark [Jennings] and so many people that you would never have even heard of, that were just as important as all those people in my world. It was once a month..."
The night Barry's departure from TV3 was revealed, she was contacted by various media companies. "That blew me away." Four months later, it was confirmed that she'd be taking over as co-host on TVNZ's five morning a week show Breakfast in September, alongside Jack Tame. In early 2018 it was announced that Barry would be moving to TVNZ's high profile Seven Sharp slot, after the primetime news. Barry has also narrated for television, including on the bite-sized Great War Stories, and TV series The Secret Life of Dancers.